During the past few days and for the next week I’ll be heavily involved in preparing my forthcoming seminar in Milan on search engine and organic placement. I enjoy teaching and speaking at public events as they force me to make time to gather all the information I collect while working. Today I was working on my slides regarding linking and linking strategies and decided to write this post on linking and linking strategies. I read a lot about links, linking, link popularity, cross linking, reciprocal linking, all based on the necessity to increase their ranking. Many say it’s a waste of time and it can actually hurt your rankings on the engines – I say that’s incorrect, it all depends on how you are doing it. Now before any of you jump on my back and say this just doesn’t work please read on, let me put this into perspective. Who should use this strategy. The way I see it, most small businesses, especially hotels are ideal candidates: let’s face it, a hotel in L’Aquila (that’s where I live in Abruzzo Italy) can say so much about itself and the town where it’s located and link baiting really isn’t much of an option in this case: There are so many small businesses facing this kind of problem – I work with them every day. How should the strategy be implemented ? Well not by making one long page and slapping all your links on it. That’s useless and something the search engines will certainly frown upon. You have to take it more than a step further to make it work – build a Directory of web sites a resource that users will find useful and that will actually rank on the search engines. Build your Directory contacting web sites that are in a similar line of work, preferably not in direct competition with you (although I have seen cases where sites competing have exchanged links). Day after day search the web for quality web sites and add them to your directory. As you explore the web you’ll be finding more categories to add to your Directory. Personalize titles and descriptions for each and every page of your directory. Make those titles keyword rich and attractive to the user’s eye. Add all the sites you find – ask for a link, if you don’t get one back in return don’t worry, leave their web site up and running on your directory. It’s not how many web sites you have listed it’s about how good they are and how much your users will appreciate them when they identify your direcotry on the search engines and click on it. Each link must have a nice description, you’re providing your users with a service and you want them to use it. You are creating something that has value and will bring you traffic and visibility. You need to differentiate your incoming links. You can use an IFRAME to include the code randomly chosen from a list you’ll have to write up and maintain:. There is also another issue related to the user: Your links will be found and clicked – that’s a fact you’ll be able to verify by looking at the referring sites section of your statistics. You want the users to get as close as possible to the resource sought: sending them, to your home page could be counter productive. By deep linking into your web site you’ll direct traffic to relevant pages. But you can go one step further to develop your linking strategy. Set up a hittal account and watch your long tail develop. After a some days you’ll see hittail suggest new niche keywords that can be used to further develop your online visibility. Create new landing pages and link to them also via your linking strategy: as you discover new keywords use them to create new pages and new link suggestions to add to your descriptions page. The long tail of keywords is now also a long tail of linking ! Who said that linking strategies are simple ? Do you think link exchange is dead ? Was this too long and complicated ? AFrance’ – guarda che sto all’Aquila ! Months ago, I tried email to ask for exchanging links and somehow it worked, but I wanted more volume in terms of links. There are so many SEO techniques that will help optimize websites for a higher Search Engine Results Position (SERP). One thing to remember about asking for links manually is that it’s extremely difficult to reach a quota with that method. It can certainly be done, but the fact that people get back to you about your requests in their own good time makes it a really hard method to keep on a schedule, unlike some other SEO techniques. Well, yes, I do think so. 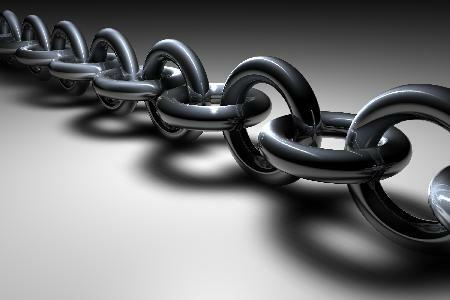 It might still have value and work for some sites, but as a link building method, it has lost all popularity. The days that I received (or sent) dozens of emails daily for a link exchange request are long gone. Can you give an answer to your own question?